When we hunt for wild birds, there is a consciousness that, as one of my old friends tells me, it ain't the way it used to be. Easy for him to say, he hasn't picked up a shotgun in years. But there are still places where native grasses flourish, where the thistle is head-high, where wild roosters cackle in the grain. Some of those places are on Indian reservations. We hunted quail and pheasant last November on private land and "Feel Free to Hunt" land on the Yakama Reservation in eastern Washington. Early in the morning, we dropped in at the Blue Sky Market in Toppenish then motored into prairies planted to corn, asparagus, hops, grapes and mint. For every cultivated field, we saw another thick with wild rose bushes, rye, saw grass, sagebrush and teasel. My eyes were drawn to thickets of cattails along the creeks. At the first property, the sage was chin-high. We busted our way through the brush and pushed up 30 birds on the first flush. An hour later, we must have moved hundreds of birds in a ten-acre patch. A few fell to our shotguns. We pushed out to a slough, spooked up some mallards and then worked along a dike for half a mile. One hen pheasant flushed and one long-tailed rooster outfoxed us, doubled back and beat it across the water. In the afternoon, we hunted a section lined with Russian olives and yellowed cottonwoods. Six roosters flushed too far in front of us. Next time we block that corner of the field. 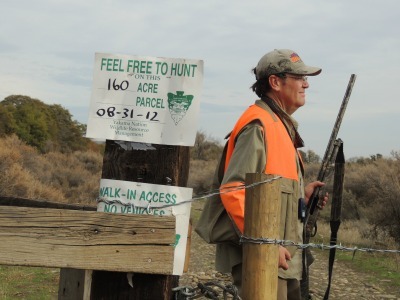 Pheasant and quail hunting on Yakama Nation lands runs from the second Saturday of October through the end of December. In the Yakima River corridor, an extended quail season runs through January 16. The daily bag limit is three roosters with 15 in possession. For valley quail, the limit is ten with 30 in possession. When the hunter buys a license, it comes with a map keyed to areas posted "Feel Free to Hunt," areas open to hunting Wednesdays, weekends and holidays, non-trust lands, trust lands and refuge areas. One good resource is the Yakama Nation's web site at www.ynwildlife.org. Under the public hunting/fishing pulldown, a hunter can find permits, hunting hours, duck banding results, seasons and regulations, detailed hunting maps, aerial photos and more. 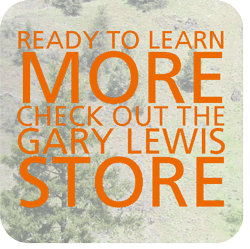 Permits are available at various locations in the Yakima Valley. A season combination license costs $36.50. According to the Yakama Nation data, pheasant numbers are down since the highs of the early 1990s. Bagging a rooster might not be as easy as it used to be, but the birds are there. Quail numbers, on the other hand, were at an all-time high in 2012. I have to say that I have never seen as many quail as I saw on the reservation that morning. The winter of 2012-13 was mild and the spring did not bring much of the pounding rain that can destroy chicks in the nest. This season promises to be drier, but the Yakima Valley has a lot of water. For the quail hunter, these could be the good old days.